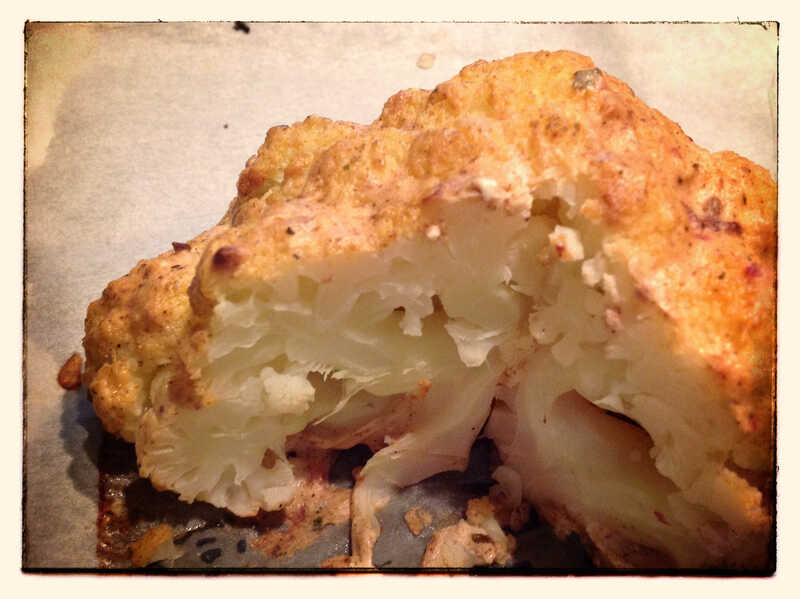 Roasted Cauliflower Head…why haven’t I done this before?!? Roasting cauliflower is so simple. And more importantly, it is utterly delicious. And to create a variety of flavours with it, is so easy to do! And I can’t believe it’s taken me so long to roast one. Now it’s a weekly must in my kitchen. 2 teaspoons Ras-el-hanout (a complex wonderfully fragrant & tasty Moroccan spice, which can contain anything from 10-100 spices, depending who makes it or where you are buying it from). If you’d like to make it yourself, you can find the recipe below this one. If you don’t want to use an exotic spice mix, then use whatever you fancy, for example mixed herbs, paprika & chilli OR fresh rosemary and other italian herbs & spices. It’s simply up to you and your taste profile what you would like to put on the cauliflower. Variety being the spice of life!!! Mix the spices and garlic into the full-fat yoghurt. Pre-cook the cauliflower. Place in a pot of water, get to a gentle boil & cook for 20 minutes. Remove from the water. Place into the yoghurt mix & fully coat the cauliflower. Place onto a roasting pan or dish (I usually put baking parchment down, so as to minimize the mess) and bake at 180 degrees for 40 minutes. This entry was posted in lchf, LCHF recipes, side dishes, vegetables and tagged cauliflower recipe, ras-el-hanout recipe, roasted cauliflower by angelb38. Bookmark the permalink.